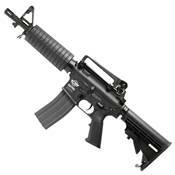 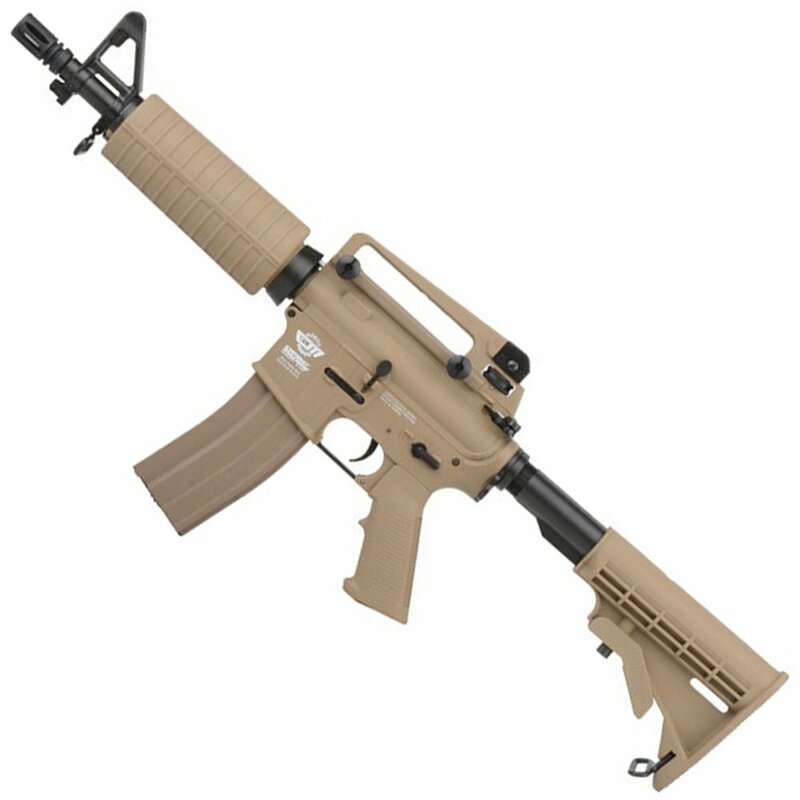 This M4 AEG from G&G Armament is a compact version of the CM16 Carbine. 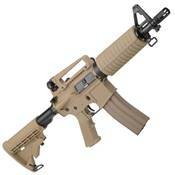 This gun features a shorter barrel, optimized for a faster style of indoor close quarters combat. 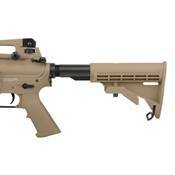 The durable polymer frame is lightweight for easy maneuvering and rapid target acquisition. 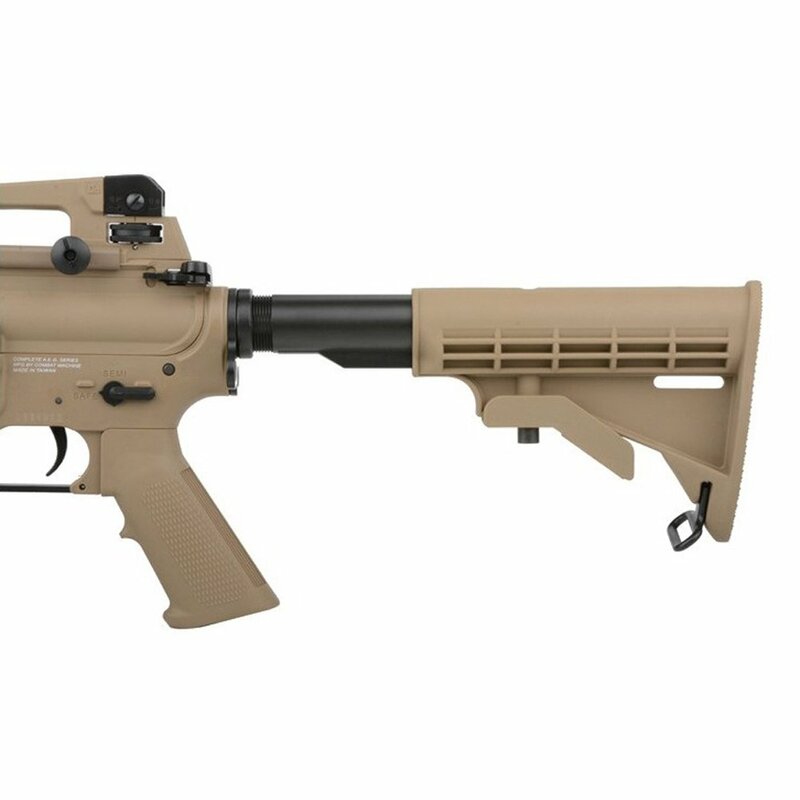 This is another airsoft rifle from G&G’s combat machine line that features pneumatic blowback, which does not drain battery power or wear down the internals. In airsoft there are three types of magazines: low capacity - less than 100 rounds, mid capacity - between 100 and 200 rounds, and high capacity - anything above 200 rounds.